3 Bedroom Detached Bungalow For Sale in Liverpool for Asking Price £310,000. 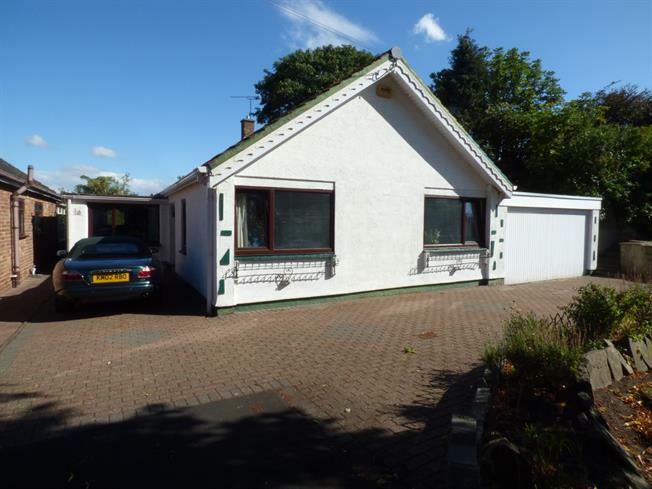 Entwistle Green are delighted to offer for sale this spacious detached bungalow which is being sold with no ongoing chain. The property sits on a desirable corner plot which boasts well-maintained gardens and a driveway to the front; great for any buyers who wish to benefit from privacy. The property briefly comprises of an entrance hall, sitting room, open plan kitchen/diner, three bedrooms and a family bathroom. This charming bungalow also benefits from central heating and double glazing throughout. Call today to arrange a viewing! Wooden front single glazed door, opening onto the driveway. Single glazed wood window with frosted glass. Radiator, tiled flooring, a built-in wardrobe. Sliding double glazed door, opening onto the garden. Double glazed window facing the rear overlooking the garden. Radiator, carpeted flooring. UPVC back double glazed door, opening onto the garden. Double aspect double glazed uPVC windows facing the rear and side overlooking the garden. Radiator, tiled flooring. Built-in and fitted units, stainless steel sink, space for hob, space for washing machine. Double glazed uPVC window facing the front. Radiator, carpeted flooring, fitted shelves. Double glazed uPVC window facing the front overlooking the garden. Radiator, carpeted flooring, fitted wardrobes. Double glazed uPVC window with frosted glass facing the rear. Radiator, tiled flooring. Built-in WC, sunken bath, vanity unit.